Business is a necessary part of our society, but it does not have to negatively impact our streams. Depending on your industry there may be one or more ways that your business can modify its current practices to support cool, clean water for life. Click on the links below to learn how your business can become Stream Smart. Sweep it up instead of hosing down or pressure washing a parking lot or driveway. This conserves water and avoids washing the waste into the stormwater system. If you must wash a surface, block all of your storm drains with sand bags, or other materials that prevent water from entering the drain, then dispose of collected debris in the trash and allow water to evaporate, or direct to a pervious area if the wastewater does not contain oils, food products, or other chemicals that will cause a nuisance condition. Cover grease storage and dumpsters and keep them clean to avoid leaks and debris reaching stormwater. If a spill occurs on your site, follow your spill response plan. If you don’t have one, report the spill to the Oregon Emergency Response System 1-800-452-0311. If your site is required to have a spill response plan, ensure that your employees receive annual training on how to implement the spill response plan. Dispose of Hazardous Waste correctly. Many businesses have some type of hazardous waste-those that are flammable, corrosive, toxic, or reactive. Listed below are some common hazardous materials. Pesticides and herbicides not only kill organisms on our landscapes, but will also kill aquatic life when washed into creeks. Fertilizers provide nutrients for our plants to grow, and when washed into creeks provide nutrients for algae blooms, which use up oxygen needed by fish. Yard waste should never be blown or swept into the street, which is a violation of city code in some cities. Compost yard waste, so that it does not take up space in our landfill. For more information on how to compost, visit our Composting Makes Sense page. Consider alternatives to artificial fertilizers, pesticides & herbicides as these chemicals are often washed into the stormwater system and up polluting our creeks and rivers. Our Alternatives to fertilizers, pesticides & herbicides page is full of helpful information on this topic. If you need help educating clients on the value of alternatives, send them to this website, or RVSS. Stockpiles are not allowed in city streets where material can be easily washed into the stormwater system. Stockpiles on other paved surfaces should be protected when rain is expected so that materials do not wash into the stormwater system. Use water conservatively, excess runoff from irrigation carries pollutants into our creeks and causes the water temperature to increase. Our Watering to Protect Streams page contains lots of information on how to reduce water usage. Conduct annual inspections of irrigation systems to ensure they are working properly and continuing to provide water where it is needed. Many buildings built prior to 2006 do not have any means of reducing or treating stormwater runoff from their properties. 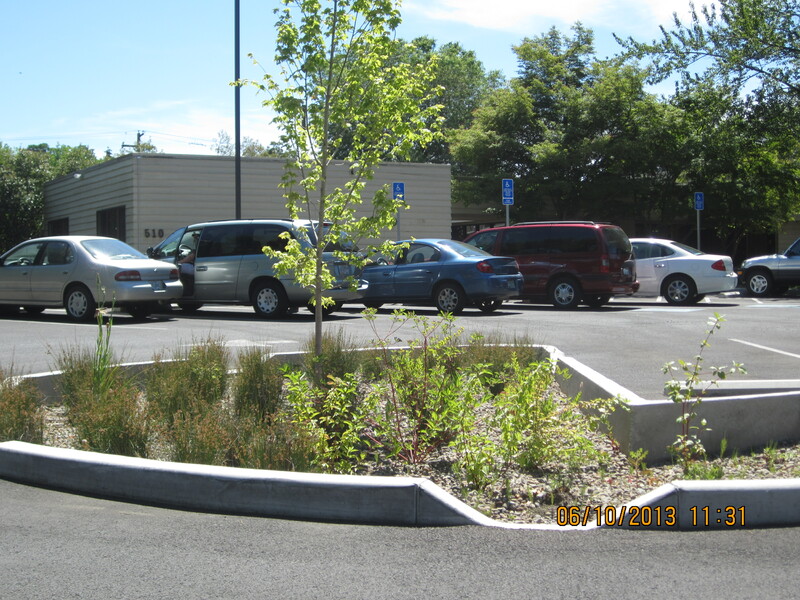 Some stormwater management features such as rain gardens and rain barrels can be easily added to developed sites, and will help to improve the quality of stormwater runoff flowing from your business to our creeks. If you have an existing facility and would like to add or upgrade stormwater management features visit our stormwater management page for brochures and guidance, or contact Jackson Soil and Water Conservation District for assistance. Erosion: The process in which wind or water displaces and transports soil particles. Sediment: Eroded material that is suspended in water or wind. Erosion and subsequent runoff of sediment is one of the leading causes of pollution in our creeks. To reduce the amount of sediment entering creeks from construction projects, erosion and sediment control permits are required. Development and redevelopment projects often require that stormwater runoff from the property be accommodated with an approved stormwater management plan, for which low impact development may be used. Visit our stormwater management page for more information on erosion and sediment control permits and stormwater management plans. Wastewater from carpet, drapes, furniture and window cleaning can contain hazardous chemicals, non-biodegradable fibers, dirt and oil. This wastewater must be disposed of properly so that it does not enter a stormwater system, creek or river. Wastewater from cleaning must be sent to the sanitary sewer system by dumping down a toilet, sink or other drain that is connected to the sanitary sewer. Even if a cleaning product is labeled as nontoxic or biodegradable, it must be disposed of through the sanitary sewer system. If a facility is on a septic system, wastewater can not be discharged there, instead store the wastewater in a collection tank and transport to an authorized sewage discharge point. Vacuum the carpet prior to cleaning to minimize debris in the wastewater. Follow instructions on cleaning products, including water-based and biodegradable products. 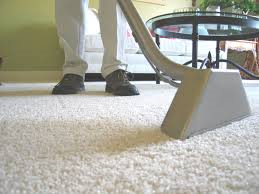 Fibers should be filtered from carpet cleaning wastewater prior to dumping so that they do not clog the sewer system. Filtered fibers can be disposed of in the trash as long as hazardous chemicals were not used in the cleaning process. Never dump cleaning wastewater onto a paved surface, or into storm drains, ditches or creeks. This is illegal and can result in a fine. Train employees to properly use cleaning products and dispose of wastewater. Leaking oil, grease and other hazardous chemicals are a major source of stormwater pollution. A single quart of oil can contaminate 250,000 gallons of water. Phosphates from detergents that end up in stormwater runoff lead to algae blooms in streams. If your business has a vehicle fleet, follow the steps below to ensure you are maintaining your vehicles in a Stream Smart manner. Establish a regular maintenance schedule for all motorized vehicles that includes routine checks for leaks. 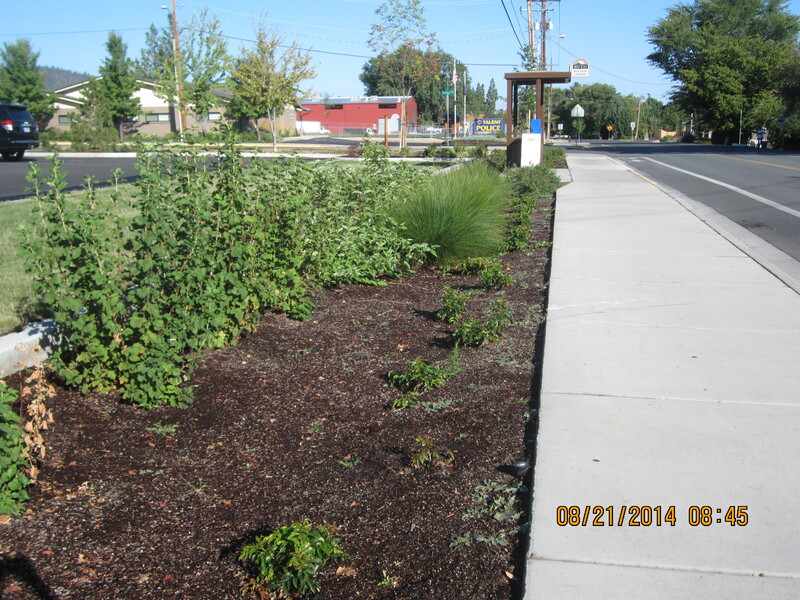 Park leaking vehicles over drip pans or ground cloths to prevent the drips from being washed into stormwater. Use drip pans or ground cloths to collect leaks and spills during maintenance activities. If a spill does occur, clean it up immediately and dispose of clean-up materials properly. When possible, use environmentally friendly automotive fluids such as non-toxic antifreeze and low-toxic solvents to reduce pollution when these fluids are disposed. Store automotive fluids under cover in secondary containment, or inside to prevent leaks from reaching stormwater. Store cracked batteries in leak proof containers. 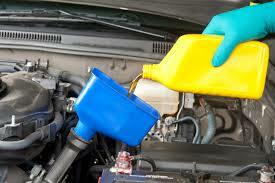 Dispose of used vehicle fluids through an approved disposal company. Never pour oil or automotive fluids into a stormwater drain, onto the street, down a drain, into the garbage or on soil. Wash vehicles at a commercial wash facility that captures and recycles wash water. 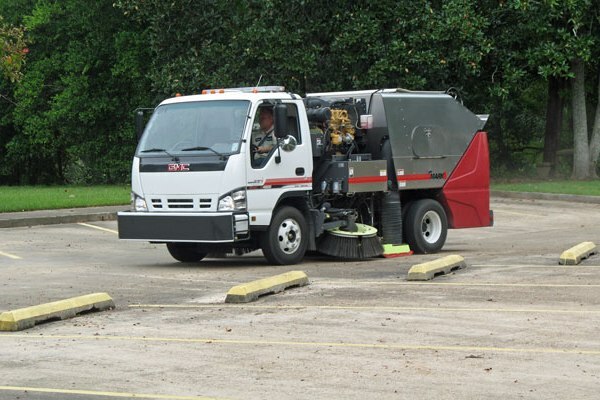 If not using a commercial wash facility, wash vehicles over a pervious surface such as a lawn to allow wash water to soak into the ground and not runoff to the stormwater system. Alternatively, create a contained area for vehicle washing from which wash water can be collected and sent to the sanitary sewer. Always use non-phosphate soaps. Phosphate is the major culprit in algae blooms in creeks and lakes. Minimize water use by using a nozzle that automatically shuts off the flow when not in use. Wash vehicle one section at a time and rinse quickly. Dump soapy water into a drain that goes to the sanitary sewer, not the stormwater system. If a charity car wash is held on your property, contact your city hall to find out if there are requirements for using a special car wash kit to prevent runoff from entering the stormwater system. Kits are generally available from city hall. The automotive industry utilizes chemicals and materials that are very toxic to human health and aquatic life, if they end up in our creeks and rivers. Automotive repair shops generate toxic pollutants from dip tanks, paints and paint thinners, antifreeze, batteries, parts washers, cleaners, and petroleum products. If your shop generates more than half a 55-gallon drum a month of waste products, you are required to register with the Oregon Department of Environmental Quality as a hazardous waste generator. Operating your facility and disposing of these chemicals properly is essential to being Stream Smart. Motor oil and filters, anti-freeze, batteries, tires and metal filings can often be recycled, contact a local hazardous waste disposal company and schedule to have materials routinely picked up from your facility. Store automotive fluids and other hazardous materials on impervious surfaces in secondary containment and under cover to prevent stormwater runoff from reaching them. Parts should only be washed in an area where wash water can be collected and sent to the sanitary sewer. Clean automotive parts by scraping with a wire brush or by baking in an oven rather than using chemical cleaners. Place drip pans and cloths under vehicles to capture leaks during maintenance activities. Collect metal filings for recycling by placing a container under grinders and lathes. Clean work areas with dry methods such as sweeping and absorbent materials, rather than hosing down. Ensure that you have an up-to-date spill response plan and that all employees are trained to use it. Stock spill clean-up materials including dry absorbents and clearly label their storage locations. Minimize water use by using a nozzle that automatically shuts off the flow when not in use. 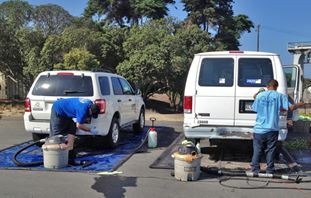 Wash vehicles one section at a time and rinse quickly. Thermofluids – Used oil and hazardous materials disposal company in White City, OR. EPA’s Green link program – provides assistance and information for the automotive industry. Ecobiz – Become a certified ecological business. 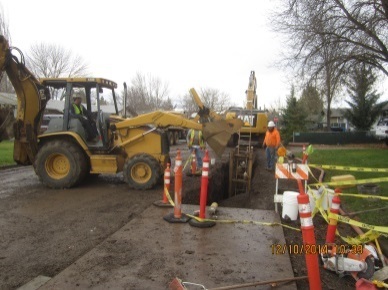 Rogue Valley Sewer Service – BMPs for Automotive Industry. Food Service owners are responsible for proper disposal of wastes that originate from their business including food scraps, fats, grease, oil, mop water, wash water from filter cleaning, and drainage from dumpsters. Fats, oils and grease, known as FOG, can be an environmental hazard as they are a common cause of sanitary sewer back-ups and resultant sewer overflows. FOG also hinders treatment of wastewater at wastewater treatment plants. Dispose of fats, oils and grease properly. Rogue Valley Sewer Services maintains a list of preferred pumpers who properly pump, haul and dispose of hydro-mechanical grease interceptor/gravity grease interceptor waste. 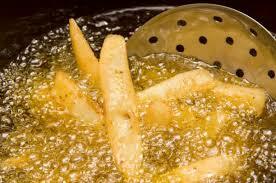 Never pour oil or grease into sinks or floor drains that do not have grease interceptors. Never pour oil or grease into parking lots or storm drains. Floor mats, filters, garbage cans and equipment contaminated with grease should be washed in a sink connected to the sanitary sewer through a grease trap. Or, take them to a coin-operated car wash and clean them there. Ensure that grease storage containers have secure lids, do not leak and can not be accessed by animals or vandals. Do not put liquid waste in dumpsters. Maintain spill containment and clean-up kits on your premises for oil and grease spills. Keep dumpster lids closed and the areas around them clean. If you are going to clean around a dumpster, have a means to collect the wash water and dispose of it properly. Promptly clean up any litter in wash areas. Use dry methods, such as sweeping, to clean parking and trash areas rather than hosing down. This prevents debris from washing into the stormwater system and conserves water. Train your staff so that they understand how to properly clean your facility and dispose of fats, oil and grease. Become a Certified Green Restaurant through the Green Restaurant Association. Be Stream Smart! No Dumping. Drains To Stream.